The biggest challenge we face as Small Business Owners is attracting new clients and customers. How can we do this without breaking the bank? The surprising, simple answer is email. Done the right way, email can be a high touch way to build a list of people who are interested in you and your business. Here is a post listing 29 excellent reasons you should be using email as your top marketing tool. But if you really want to find out how email can work for your business, why not ask other small business owners and see how it worked for them? When done right, email marketing lets you reach the right person, with the right offer, at the right time. For a business like Rejuvenate Therapeutic Massage, a well-timed email results in a flood of calls each time they hit send. As fundraising efforts continue to move online, nonprofits need to adapt their outreach efforts as well. Texas-based nonprofit, Rescued Pets Movement, saw the benefit of using email to increase donations when they sent an email to raise emergency funds for a dog in need in March 2013. With email, you can strengthen brand recognition with new and potential clients, and extend your reach when people forward or share your message with a friend. When you have an audience of people who are interested in receiving updates from your business, you’ll be able to think differently about how you boost sales throughout the year. This has been especially valuable for a business like Colorado-based Allegria Spa, which communicates with local residents and visitors from around the country. Email marketing gives you the metrics you need to see how your emails are performing. These insights help you market smarter, and also give you the advantage of better understanding the needs and interests of your customer base. Email templates aren’t just easy to use; they’re also designed to make sure you look professional when you reach your audience member’s inbox. You can insert your own content and customize each template with your logo and colors to make sure it matches your brand. Whether you’re an e-commerce business that sells products online, or a retail store that wants to increase traffic to your website so that you can bring more people into your store — email marketing can help. When you run a small business, every sale, order, or appointment can have a significant impact. 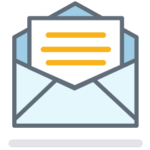 With email, you’re able to get the results you’re looking for right away and easily track how your different campaigns are performing. In addition to connecting with the people on your email list, you can also share your newsletters and announcements on your own social networks to bring new people to your business. Once you learn the basics, you’ll be able to put together a plan to get your emails out to your audience in less time. If you’ve tried other marketing activities, it can sometimes feel like you’re completely on your own. Here at Constant Contact,we believe you shouldn’t have to do it alone. You’ll have the support you need to get things done, and tools and training to become an expert marketer. As you can tell, we love to hear the stories of businesses that have used email marketing to grow their business. If you’re already using email marketing and have seen great results, we’d love to hear your story in the comments below! If you’re not using email marketing, and are interested in seeing how it could work for your small business, you can try it for free. Start your free 60-day trial of Constant Contact today! 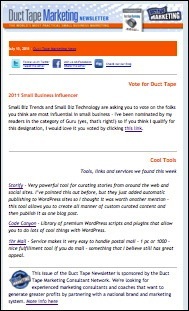 See why smart small businesses use email marketing to drive more business. We’ll show you exactly what it can do for you, and ten tips to get started.